I’ve been back for a few days now from our honeymoon in Europe and I thought I’d share this photo with you. 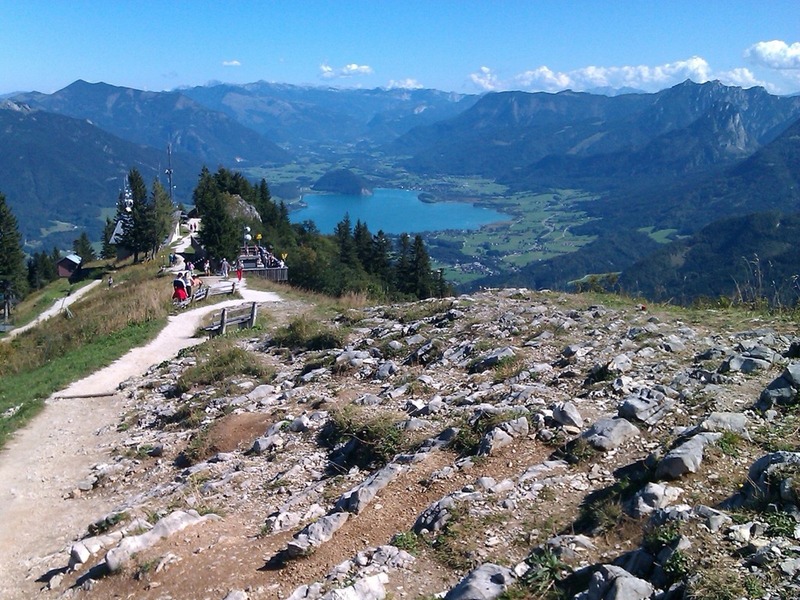 As a lover of moths and butterflies, I was overjoyed that a huge yellow swallowtail butterfly should land on my hand on the summit of a mountain in the sunny Austrian Alps, (also pictured)! Unfortunately it wasn’t long enough on my hand for me to take a photo (you’ll just have to trust me)! 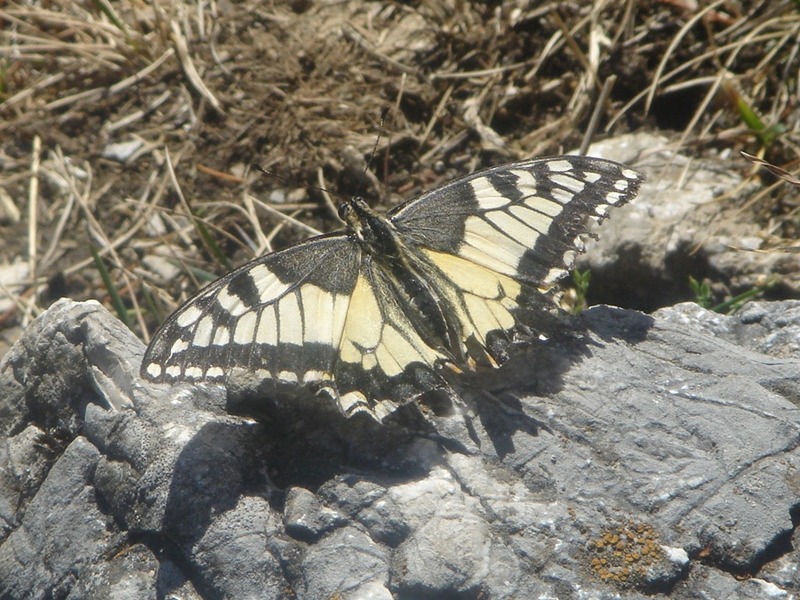 but the swallowtail, sadly missing it’s swallowy-tail bits, hung around us for long enough for me to get a few pictures. So, what’s all this got to do with paper conservation you might be thinking? Paper conservators frequently use Japanese papers to repair and stabilise objects. Rather surprisingly, Natural History conservators also use these papers to mend the wings of butterflies, moths and other insects within their collections as well as bird feathers. There is a huge range of Japanese papers available and all have unique qualities such as tone, weight and wet and dry strength that lend themselves to some conservation treatments better than others. To ensure the papers are of conservation grade quality, only those which contain 100% mitsumata, kozo or gampi fibers (all from Japanese plants) are used. Some examples of the names of these papers are: Gampi Torinoko, Kinwashi Natural, Hoshokawa Ohban, Kawasaki, Kizukishi, , Kozo-S, Minota and Misugami Medium but there are many more besides. It takes great patience, tradition and excellent craftsmanship for many of these papers to be made, often by hand, in Japan. It is up to the conservator to decide which paper may most suit an objects’ needs and how best they should be cut and applied to give an almost invisible or completely invisible repair. With the versatility, good ageing properties and beautiful textures inherent to these papers, they are a pleasure to work with.